In current times, more and more people buy drones. These flying gadgets became extremely popular. Regardless of the fact that many industries start using drones for various purposes, still, their major objective is to make aerial footage. Taking into account the amount of drone users, which is growing day by day, each drone pilot should remember about the existing drone rules. Frequently, drone pilots just break the laws and every day, we hear the news that drones are involved in a collision with one or another aircraft. It stands to mention that ignorance of the drone rules can really cause serious legal issues. For that reason, even if you are a beginner before you buy a drone and make the first flight, you need to be aware of the existing drone rules (in the country you reside). When you get behind a wheel of your car, you know the existing traffic rules. The same is with drones. Such flying gadgets aren’t just toys in your hands. These are unmanned aerial vehicles that can cause serious damage to the society. Frequently, the local authorities receive inquires from people that are greatly concerned about their privacy and safety. Many people don’t want to be captured on camera when they are just relaxing on the territory of their yards. On that score, the law stipulates where and when one can fly their drones. In some instances, additional permissions are required. Very often the laws fully depend on the weight of a drone and the purpose of its usage (commercial or recreational). Australia is the country where the number of drone pilots is growing at the velocity of sound. Recently the news about the collision of a light aircraft and a drone in Adelaide’s north appeared. Such news as drone smashes into the windscreens don’t even amaze the citizens of this country. Your aircraft should be at least 30m from buildings, people or vehicles. It is not allowed to fly above the populous areas. You must strictly follow the rules of flying near airports. Never fly over various emergency situations like car accidents, floods, fires, etc. If you use your drone for payment, there are particular rules of flying drones for commercial purposes. Also, don’t forget about privacy. Not always, people. you capture with the help of your drone, want to be the main characters of your short film. Authorities frequently receive inquires from people who consider that drone pilots break the laws by shooting their property. 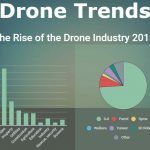 The number of drone users grows and the amount of such issues will also grow. Just imagine, during 2016, more than 7 million drones were sold. The major part of them are DJI drones. People prefer buying DJI drones because of their high quality, great performance, and affordable pricing policy. Besides, still, drones are regarded to be the best Christmas gifts. If your prime target is to buy DJI drones, welcome to aeromotus.com. 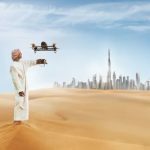 We are an authorized DJI dealer in Dubai, offering a wide choice of DJI drones for sale.